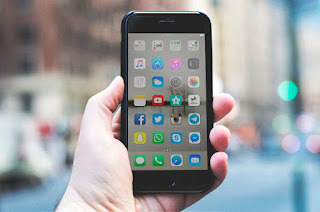 Whether you’re in Singapore, or anywhere else in the world, and you’re starting your own business, you’ll want to look into social media and tie it in with your business. Social media plays an unbelievably important role, especially for a startup that yet hasn’t sailed into stardom. It’s not just about funny memes and pretty pictures, it’s a whole world of businesses and entrepreneurs making their way through the crowds, and seizing every single opportunity they can to convert leads into sales. There are plenty of great examples of small businesses soaring sky –high thanks to social media. Social media platforms offer so much potential,and here’s why. It’s obvious that social media is great for exposure, as you can reach as many people as you could want. But, it’s not just about reach, it’s about going in-depth and investigating what your target audience wants. Social media gives you insight into what your audience and potential customers are doing, what they are looking for, what kind of questions they have, and this immediately changes your game, because you’re right there with them, offering a solution to their problem. Package it just right, and in the right time, and your business will definitely feel the difference. The best part is, no investment is necessary. When your audience goes onto your social media profile, it’s like they are window shopping. You get a chance to display your business free, but it’s also a great opportunity to get your audience hooked to your brand. Although everyone is on social media, trying to sell something or tell their story, the goal is to entice your audience and get them excited over your brand. Whether you’re a florist in Singapore or someone who’s launching a new app. If you can tell your story, but put a unique spin on it, so that intrigues your audience, social media will basically do all the networking for you. As a start up, not only are you striving to lift your business of the ground, but you want to do it, by staying ahead of the competition. What better way to monitor your competition than on social media, where everything is out in the open and you can see what your competition is offering. For example, if you’re a flower shop, you could see what kind of designs florists are using, and then tailor your offering so that you have something that they lack. Use this as a startup to learn from them and tailor your business so that it’s always one step ahead. Social media is a world where you can basically gather leads and make sales without making any kind of an investment. You can spread your message to the entire world, join communities and engage with them, and potentially grow your business faster than you initially thought you could. Social media is no longer just for fun, and business are flocking to the digital world and using every chance they have to grow their business. As a start up, this is a great opportunity, because it’s essentially free, and you get to put yourself to a large number of people, without actually investing any funds.